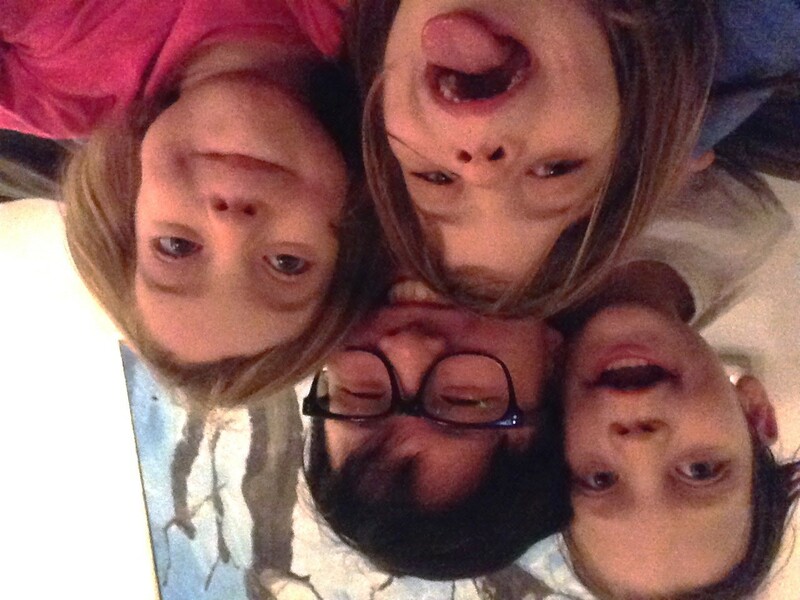 Current student Aaron Ong is no stranger to engaging in different cultures; born and raised in Singapore, he chose to move abroad to the United States two years ago to study at Cornell University. 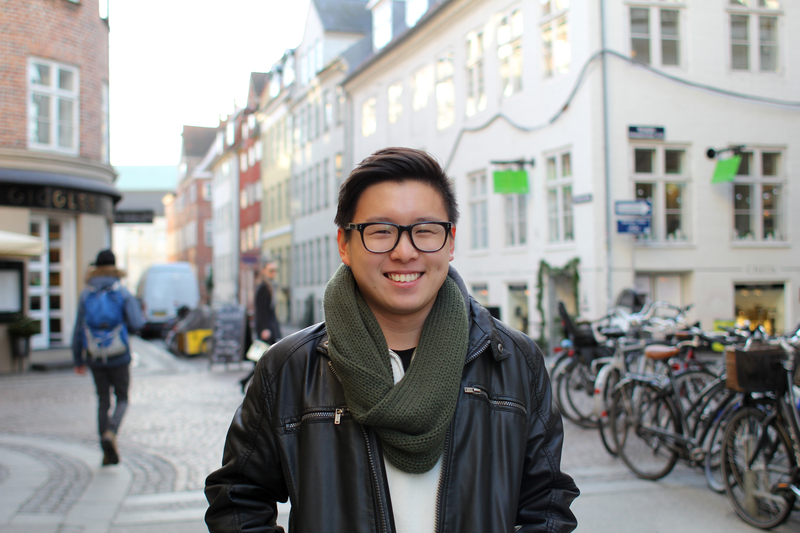 This semester, he has been with DIS in Denmark, and recently wrote about his experience as a non-American student studying abroad in Copenhagen. As a city planning enthusiast, I had a romanticized view of what my study abroad experience should essentially be: I would hop on bike every morning, and feel the hair in my wind as I zip past cars to get to school. Needless to say, as a then-sophomore looking to study abroad, Copenhagen seemed like a fantasy. Nonetheless, I remember perusing the DIS prospectus back at Cornell University. As a Singaporean who has only spent two years in the US, I was concerned about many issues. Would DIS expose me to Danish culture? Would I end up just mingling amongst Americans? Would my Danish Homestay host expect a White American? Despite these fears, I trusted my gut and took the plunge. I have never looked back since. I fondly remember the first day I moved in with my host family. My three host siblings – five to eight years old – were a little shy at first, but quickly warmed up to me. They even helped me set up the new Ikea lamp for my room, tossing toys around me enthusiastically while I unpacked. Little did I know, the laughter and energy would soon become a permanent backdrop to my life for the next four months. The Danes’ lives revolve around the heartwarming concept of hygge, which means the fostering of a warm and cozy atmosphere, and enjoying the good things in life with friends and family. Staying with a Danish family for four months meant tons of hyggeligt moments: weekend trips to a farm or a park, trying Danish foods such as æbleskiver and risengrød, and watching the children’s facial contortions as they try my spicy Singaporean cooking. 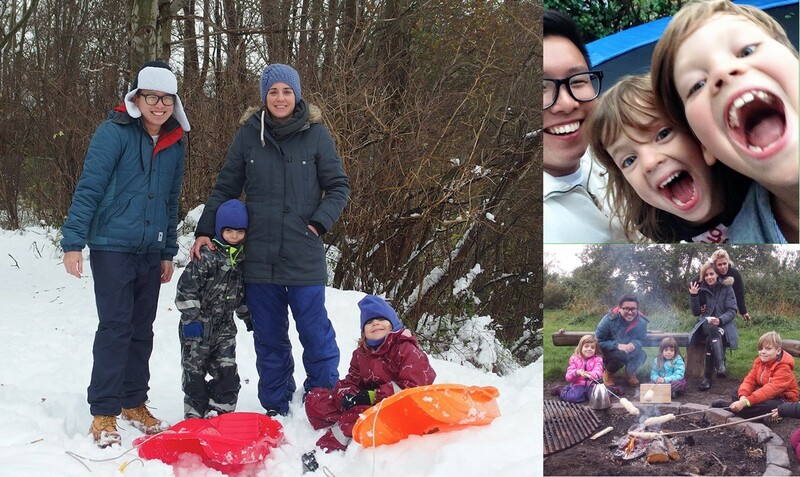 Memories with my host family: sledding, trampolining, and baking traditional Danish bread over the fire. Turns out, my being Singaporean was a boon, as it significantly enhanced our cross-cultural exchanges. 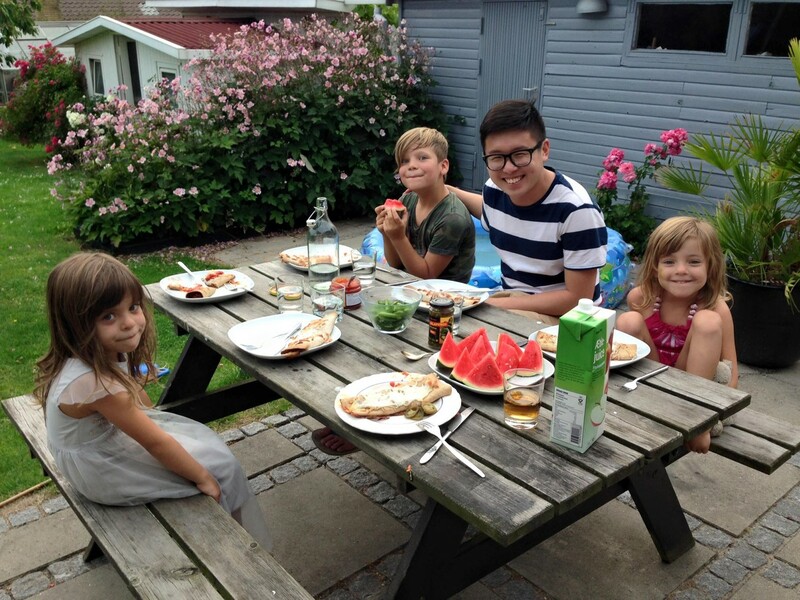 Over our many meals together, I shared about both American and Singaporean culture, while learning more about what makes the Danes the happiest country in the world. As the countdown to the end began, each hyggeligt moment spent with them became ever more precious. The first few weeks of DIS were reminiscent of freshmen orientation. The instructors lectured under the assumption that every student was American, however, like in my Homestay, my background proved to amplify my academic experience. Once my instructors learned of my background, they began tapping on my experiences in class. In Masculinities in Scandinavia course, I shared about my country’s conservative stance towards LGBTs and traditional gender roles. In Danish Language and Culture, I added an East Asian perspective to a discussion on the cultural beliefs behind the welfare state. Ultimately, I felt that my perspectives were certainly valued at DIS. 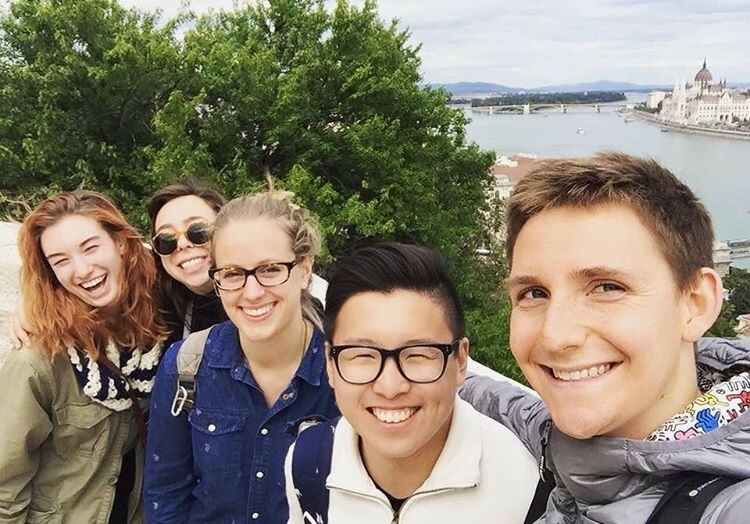 Exploring the Buda Castle with my peers, on the Urban Studies Study Tour in Budapest, Hungary. On hindsight, all of my fears about being a non-American student were completely unfounded. With all the fun experiential learning activities and study tours, it was hard not to find a group of like-minded peers. Students at DIS were also very open and welcoming, and I found a community very quickly. I soon realized I had the best of both worlds – spending time with wonderful friends in school, and also returning home everyday to smiling faces and cooked food. Since writing this piece, I’ve ended my semester in Copenhagen and spent the holiday season at home in Singapore. Not only do I miss my friends, I will, most of all, cherish the incredible memories with my Danish Homestay hosts. Yet, I know that this is not the end. We will definitely be keeping in touch, and I will certainly be visiting again in the near future. DIS truly offered the most holistic study abroad experience. Taking Danish Language and Culture opened the doors to a deeper understanding of the Danes. Going on numerous urban studies bike tours allowed me to experience Copenhagen like a local. These classes, coupled with my Homestay, added an immeasurable depth to my immersion experience. Tusind tak, DIS and my Homestay hosts, for giving me the richest four months of my life! Awesome post! 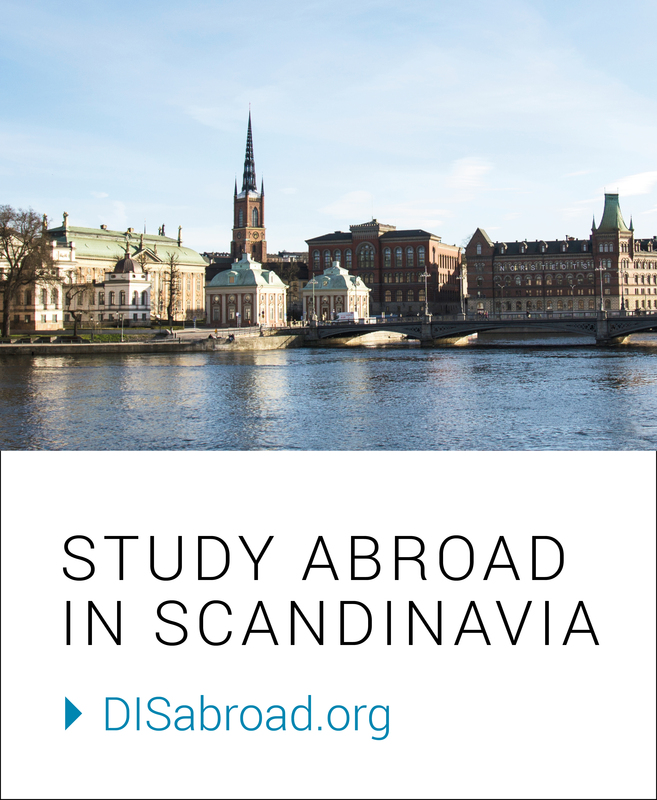 As Vietnamese, I am excited to experience Danish culture as a non-American next spring as well! Hi Khanh, I’m glad you liked this post! I had such an immersive experience with the Danes, and I’m very excited for you! (and also somewhat jealous that you’ll be there :p). Have the best time! Hi Julie! Thank you for the kind words! I had such a fantastic time at DIS, and, like you, was very glad that I chose the homestay option. It really is the best way to fully immerse into the culture! All the best wherever you are, fellow Singaporean!